Providing you with noteworthy news regarding SCAA business, upcoming events, exhibitions and geting the inside track on community happenings and artistic opportunities. For those of you who are familiar with us, you know that the best way to get the most detailed and up to date SCAA information is by visiting our website at https://southcobbarts.org/… Or, you can LIKE us on Facebook to be sure you are updated on events, notes of interest and what is happening in the SCAA Community. The South Cobb Arts Alliance has been busily working behind the scenes to develop ways to communicate all of our activities and opportunities to you, our artists, our art educators and students, as well as the community. Did you know we have an SCAA Artist Directory? Memberships starting at $20? Our art exhibits, events, and involvement are all around the county? We have student events? Have you read our SCAA magazine called “Artistic Connections” on the website? Did you know SCAA is looking for volunteers to be part of the planning of our Gala, Festival, and Live Performance events? As an all Volunteer organization since 1972, SCAA needs your assistance in helping us communicate to our audience and promoting events with updated articles and resources that are of interest to artists, to those who follow the arts, and those who follow social media. Around here, we like to share! We also like to hear from our members, so expect to see information, not only from our board and Committees, but from some very special member “Guests” in our publications and social media! 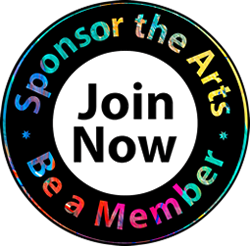 With these new endeavors, we hope to not only entertain and inform, but also to connect with our readers and include them on our artistic journey…so please consider joining us, and becoming volunteers of an organization that wishes to listen, inspire and create opportunities for the community to reconnect to the ARTS! We warmly invite those who are simply following these sites to join us as members! Join Our Mailing List” button at the bottom of our home page and submit your info, and come to the events, workshops and meetings.